The Anti-Corruption Commission (ACC) is investigating corruption in the home ministry’s use of an MVR150million (US$9.7million) budget allotted for independence day activities. The ministry is accused of awarding lucrative projects to private companies without a bidding process. The Maldives will mark 50 years of independence from the British on July 26. An office set up under the home ministry has awarded a restaurant New Port with a MVR1million catering contract and a British company called The Projection Studio with a contract to manage sound, light and projection at the official celebrations. Several monuments, public parks and the official jetty are also under renovation. 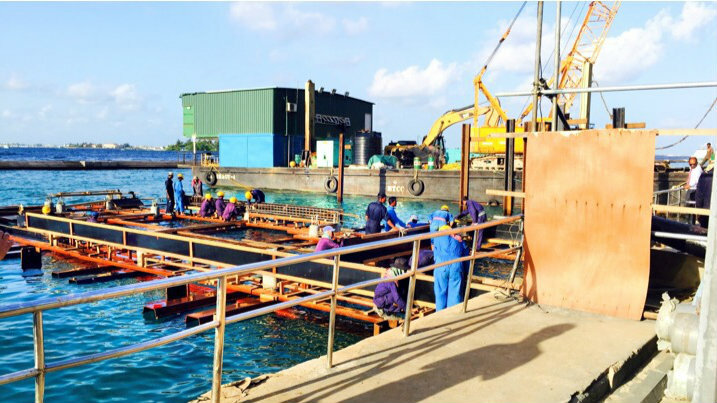 A civil society group has been given a professional fee of MVR1million to make a replica of a historic boat. President Abdulla Yameen has meanwhile bought a brand new luxury yacht worth US$4million for the independence day celebrations. “The ACC formed a special committee to investigate the office on its own initiative after receiving complaints,” said assistant director Hassan Manik. He also told Minivan News the ACC was overseeing the office’s transactions on their invitation. While Saleem had refused to disclose the budget of allocated to independence day celebrations, Jihad confirmed to Minivan News that the figure amounted to MVR150 million. The deputy minister said the activities had been planned after a public consultation. The home ministry had called for proposals in 2014 and held a public forum this year to discuss proposals. “The celebration activities were decided by the public,” he said. The home ministry has held a mandatory parade for all students, a swim between capital Malé and suburb Villingili and slaughtered 150 goats for the golden jubilee of independence. A fire broke out in a warehouse in Malé last night in the second fire incident in the capital in less than a week. 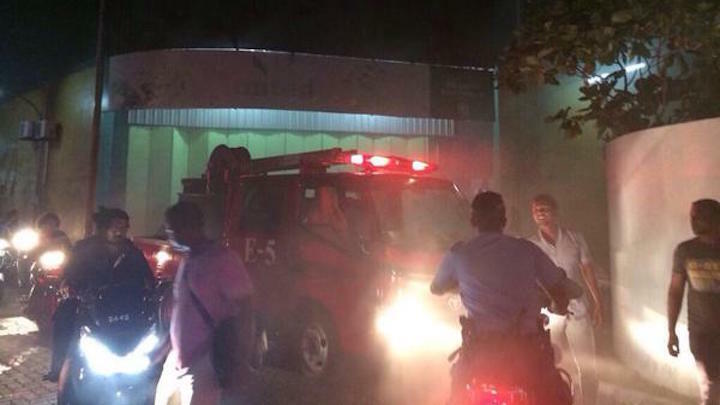 The fire at the United Food Supplies warehouse in the Maafanu ward was reported to the Maldives National Defence Force’s (MDNF) fire and rescue services around 8:20pm and was swiftly contained around 8:40pm. MDNF spokesperson Major Adnan Ahmed told Minivan News that the fire was caused by an ignition in the panel board of a storage container. The warehouse on Hadhuvaree Hingun mainly stores vegetables, frozen goods and other food items, he said. Local media reported that staff brought out several boxes from the warehouse to protect the food items after heavy smoke engulfed the area when the fire was extinguished. The items in storage were not damaged in the fire. Last night’s incident occurred three days after a fire broke out at the Kaaminee Shopping Centre in the city’s main thoroughfare Majeedhee Magu on Thursday, June 18. The police and MNDF evacuated nearby shops and apartments, but the fire was also contained in a short period. A police officer involved in the evacuating the staff was injured and taken to the Indira Gandhi Memorial Hospital for treatment. A police media official said both cases were under investigation, but suggested that last night’s fire was most likely caused by faulty equipment. “Two apartments nearby the fire at Kaaminee center were damaged by the fire, other than that there are not much damages apart from the shopping centre,” he said. The authorities are yet to conclude an investigation into a massive fire at a Lily Store warehouse in Malé in March. The government will award a medal to all police and military officers to mark their services to the state on the occasion of 50 years of independence . “Officers from both the military and the police will be given medals. This a common practice all around the world, as they protect the country’s independence in the front lines,” the home ministry’s Thazmeel Abdul Samad said. In an interview with Dhi TV on Monday, commissioner of police Hussein Waheed said the medals will be worn with police uniforms. The Maldives’ Independence Day falls on July 26. President Abdulla Yameen officially launched the “Minivan 50” or “Independence 50” celebrations on March 12 with a music show. Since then, the government has slaughtered 150 goats, brought out tens of thousands of students for a parade, organized football competitions, a sky-diving event and a swim between capital Malé and suburb Villimalé. The government plans to unveil new currency notes and has commissioned a replica of an ancient Maldivian village and a legendary boat used by three Maldivian brothers in the sixteenth century in the guerrilla war against the Portuguese occupation. The home ministry is expected to announce more events in the coming weeks. The government has also started decorating the streets of Malé with national flags. The Independence Day celebrations have drawn criticism over the lack of transparency of expenses made out of the state budget. However, the ‘Independence 50′ office under the home ministry has said that most of the work is done by volunteers. The opposition has also criticised the government for holding independence celebrations soon after jailing opposition leaders including ex-president Mohamed Nasheed on terrorism charges. The opposition had held daily protests and two mass demonstrations on February 27 and May 1. Nearly 200 people were arrested from the May Day protest. The local government authority has meanwhile suspended two councillors three councillors of the Alif Alif atoll council over a resolution declaring they will not participate in activities organised by the government to mark the golden jubilee of independence. Two men drowned in southern Gaaf Dhaal Atoll Fiyori in bad weather and a boat with a cargo of timber has sunk in Malé atoll today. The metreology department predicts heavy rains, strong winds up to 45 miles per hour and rough seas across the Maldives for the next 24 hours. A yellow alert, indicating tidal swells, severe thunderstorms, and winds between 30 and 40 miles per hour, has been issued for the central and southern atolls. Hassan Shihab, 53, and Abdulla Daood, 60, drowned in the lagoon of Fiyori Island while fishing this morning. The two men had waded 450 meters away from the shoreline. Both were strong swimmers, but the currents were too strong, the island council said. A man on the shore got on a speedboat and went to pick the two up when he saw Shihab and Daood going under. By the time he reached the two, Daood was already dead. He could detect a faint pulse in Shihab’s body. But doctors pronounced both men dead at the island’s health post. 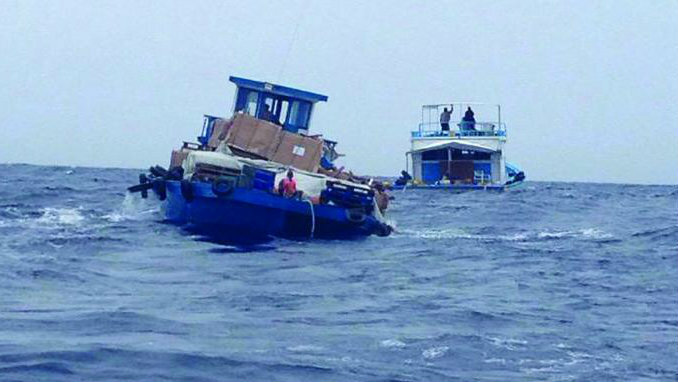 A 70-foot boat carrying timber and five crew members sank in northern Malé Atoll at about 2:00pm today. The coastguard found the two Maldivians and three expatriate workers in a dinghy and have now brought the crew to Malé. Another boat nearly sank near Baa Atoll Goedhoo island to the north east of Malé this morning. The 65-foot boat started taking on water at 8:30am causing its engine to stall. The coastguard towed the boat to shore at noon. The Maldives National Defence Forces (MNDF) has warned seafarers to be cautious, and urged boats not to take on excessive weight. Heavy rain has caused flooding in four southern islands, and damaged crops in Gaaf Dhaal Vaadhoo. MNDF officers are pumping out flood waters in Hoadhedhoo, Madaveli and Thinadhoo islands in Gaaf Dhaal atoll and in Fuvahmulah Island. Two children and an adult suffered burns during a government organized fireworks display at the Raalhugandu area in Malé last night, sparking public outrage. Local media reported that a father, his child and another child were burned from falling gunpowder. The father and child were treated at the Indira Gandhi Memorial Hospital, while the other child was taken to the Senahiya military hospital for treatment. Pictures of the burn victims circulated on social media last night, showing that all three of the injured suffered burns on the hands. Only the Maldives National Defense Force (MNDF) is allowed to operate fireworks in the country, with all profit from the fireworks going to the military welfare company the Sifainge Corporative (SifCo). Speaking to Minivan News , MNDF spokesperson Major Adnan Ahmed said the military operates fireworks with stringent safety precautions, and is investigating the incident from last night. “We cordon off the area during fireworks. 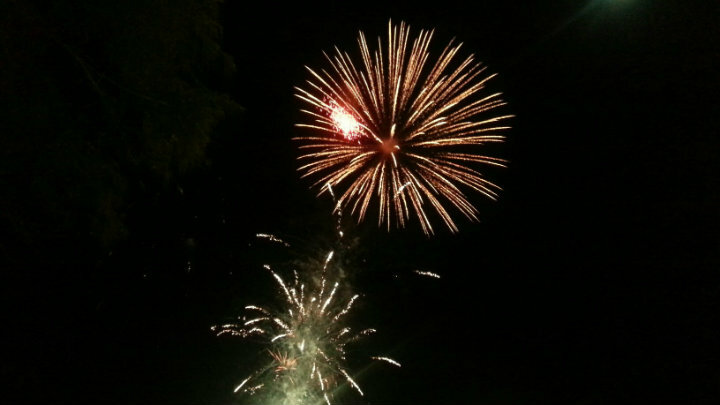 Spectators are only allowed to stay at 300 feet distance from the fireworks operating area,” said Adnan. Adnan said the three who were injured last night were standing outside of the cordoned area when they got burned, but refused to comment further on the incident. Meanwhile, minister of defence Moosa Ali Jaleel expressed his condolences to the victims in a tweet last night. However, several social media users have slammed the government over the mishap, with one questioning as to why the government was holding children’s day fireworks six days after the actual date. Most recently, the PPM used fireworks on May 2 to celebrate the government’s “victory” over the May Day protesters the previous day. Nearly 200 individuals were arrested at a mass anti-government rally on May 1, including opposition Maldivian Democratic Party chairperson Ali waheed, Adhaalath Party president Sheikh Imran Abdulla and Jumhooree Party deputy leader Ameen Ibrahim. The government also used a fireworks display to celebrate President Abdulla Yameen delivering his presidential address at the parliament, amidst protests from opposition MPs over the arrest of former President Mohamed Nasheed. Nasheed has since been sentenced for 13 years of imprisonment over terrorism chargers for the military detention of Criminal Court Chief Judge Abdulla Mohamed in 2012. A soldier who expressed support online for imprisoned former defence minister Mohamed Nazim is to be punished by the army. Hassan Firaz, stationed in Addu City in the south, on March 26 wrote a Facebook post that went viral, reading: “We are with you, Nazim sir”. He made the comment, which was widely reproduced on Twitter, after the ex-minister was found guilty of smuggling weapons and sentenced to 11 years in jail. A source close to Firaz told Minivan News the lance corporal was accused of making political statements and flown to Malé on Saturday. He now faces demotion or relocation to a remote outpost, the source said. A spokesperson for the Maldives National Defence Forces declined to comment on “internal matters”. Nazim, who had served in the army for 25 years and held the post of defence minister for three years, commands widespread support in the army, two soldiers who asked to remain anonymous told Minivan News. “People are unhappy about what has happened but they are too afraid to speak out,” one of the soldiers said. The ex-minister’s brother Adam Azim in a tweet on March 29 claimed many police and army officers are loyal to Nazim. President Abdulla Yameen dismissed Nazim from the cabinet after police discovered a pistol and three bullets at his home during a controversial midnight raid. The ex-minister says rogue police officers planted the weapons on the orders of tourism minister Ahmed Adeeb, a claim the police and Adeeb deny. 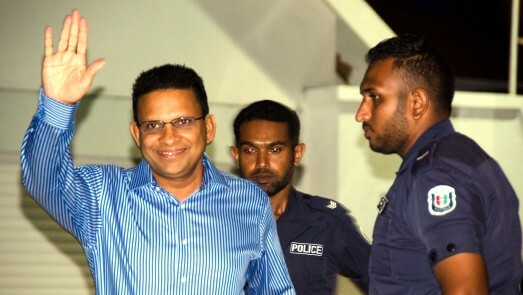 The main opposition Maldivian Democratic Party said Nazim was unfairly sentenced, condemning the Criminal Court’s refusal to call a majority of defence witnesses. 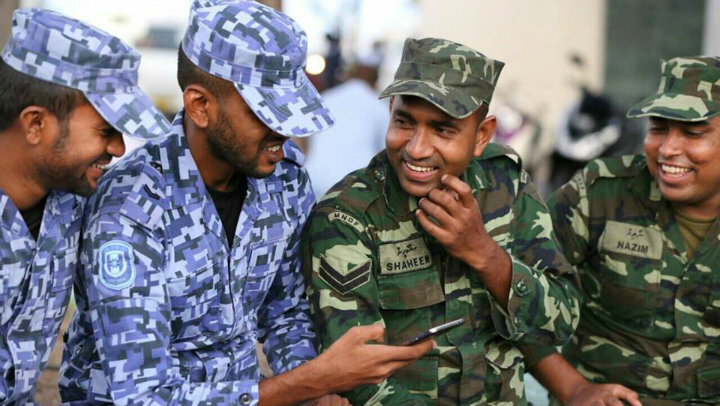 Some nine high-ranking officers were dismissed for “sowing discord within the army” during the political turmoil of the contested presidential polls of 2013, which ended with a victory by president Yameen. Nazim was the defence minister at the time. Ten aviation security command officers, who also report to the defence ministry, were also dismissed at that time. They were told they were being made redundant because of budgetary constraints. Three anonymised police officers provided testimony with serious contradictions last week in former Defence Minister Mohamed Nazim’s trial on weapons possession charges. The three officers were part of a search team during the controversial midnight raid on Nazim’s house on January 18. Their testimony indicated the Maldives Police Services did not follow stringent police regulations in conducting the search. The search team did not videotape the raid as required, and provided conflicting testimony on whether mandatory photographs were taken. One witness said photos were only taken of the illegal weapons, while a second witness said photographs were taken from the moment the raid began. Nazim — accused of smuggling illegal weapons — maintains he was framed by rogue SWAT police officers on the orders of Tourism Minister Ahmed Adeeb. The three officers said they entered Nazim’s apartment after masked SWAT officers broke down the then-defence minister’s door. Nazim’s wife and two daughters were inside the apartment’s living room with the officers at the time, they said. Police claimed to have discovered three bullets and a pistol in a black bag in a bedside drawer during the raid. 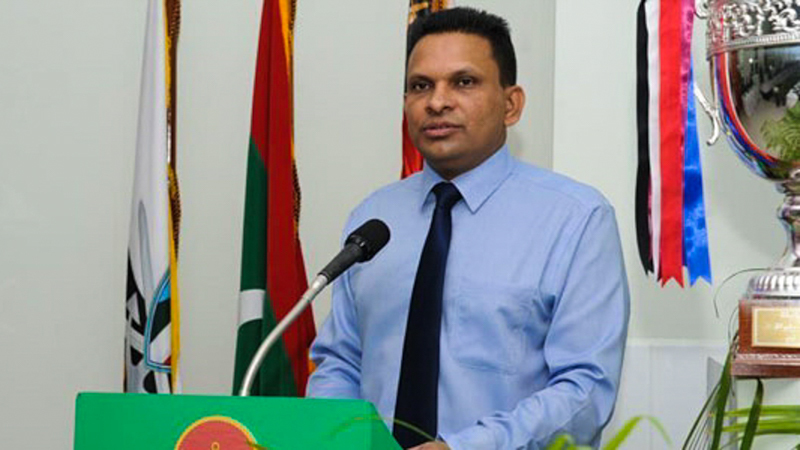 Nazim was subsequently dismissed and arrested on additional charges of treason and terrorism. If convicted of smuggling weapons, the retired colonel faces a jail term between ten and 15 years. State prosecutors have now concluded summoning witnesses. A total of six individuals testified in four hearings last week. They included five police officers and one Maldives National Defence Force (MNDF) officer. The defence is to call witnesses at the next hearing on Sunday. The Criminal Court held four hearings on March 17, 18 and 19. Nazim’s defence team questioned the three anonymised police witnesses on procedures followed during raid, search and chain of custody in evidence. At the March 17 hearing, the chief Investigative Officer (IO) said he had sought a court warrant to search Nazim’s apartment building, Galholhu Enif, on his superior’s orders. Intelligence information indicated weapons were kept either on the seventh or eighth floor, he said via telephone. The search team entered Nazim’s apartment ten to 15 minutes after SWAT officers entered the apartment and secured the premises, he said. The police team searched Nazim’s bedroom first, in his presence, when the weapons were discovered, he said. Police officers searched all of Nazim’s apartment and a second apartment on the eighth floor, but did not search the seventh floor, he said. The IO said Nazim had fully cooperated with the search. The police did not keep a record of observations in a special notebook or issue a list of items confiscated from the former defence minister’s home as per regulations, the cross-examination revealed. One anonymised witness on March 18 said the search team did not check the ceiling, while the second said the team brought in a chair to check the ceiling and cupboards. The legal team had previously claimed that the items found at Nazim’s house were planted by the police, saying that officers spent ten minutes inside Nazim’s bedroom unsupervised before the search began. Police have called the claims “untrue” and “baseless”. On March 19, state prosecutors summoned Sub Inspector Ameen Abdul Gayoom regarding a forensic digital analysis report of a pen drive confiscated from Nazim’s apartment along with the weapons. The state has previously said documents on the pen drive indicate Nazim was plotting to harm President Abdulla Yameen, Commissioner of Police Hussein Waheed and Tourism Minister Ahmed Adeeb. Journalists and observers were barred from the defence’s cross-examination of Gayoom due to the confidential nature of the documents on the pen drive. Prosecutors then summoned MNDF First Lieutenant Mohamed Nazeem to prove the pistol and bullets were functioning. Nazeem said the a weapons expert had fired the pistol in his presence, but they had not tested the bullets. However, a visual inspection shows the bullets were not dummy rounds, he said. Defence lawyers have named President Yameen, Commissioner Waheed, Chief of Defence Forces Major General Ahmed Shiyam, Home Minister Umar Naseer and several senior ranking police and military officers as witnesses to prove charges were fabricated in a conspiracy engineered by Adeeb. The Criminal Court said the court would summon defence witnesses only if they appear to negate the prosecution’s evidence. On March 7, lawyer Maumoon Hameed claimed Adeeb framed Nazim after the former defence minister alerted President Yameen of the tourism minister using SO SWAT officers to commit criminal acts, including the chopping down of all of Malé City’s areca palms in October last year. The tourism minister has said he was “shocked” by the allegations, and has dismissed accusations as lies. Defence lawyers have also called Superintendent of Police Ahmed Nafiz and former head of police’s intelligence directorate, Mohamed ‘MC’ Hameed, to prove a complaint was lodged over SO officer’s alleged criminal activities, and that SO officers had engaged in criminal activity. The defence has also called senior ranking police and military officers to prove that a Special Protection Group Corporal had lost a 9mm Browning pistol at Shangri-La resort in 2014, that police officers did not follow due process in raiding and searching Nazim’s residence, and that police intelligence had not received any information that illegal weapons were smuggled into Malé prior to the raid. The MNDF promptly dismissed allegations of missing weapons.